I am sure many people would have answered below the obvious benefits of doing a Master’s degree in Germany such as ‘Free World-class Education’ , ‘ Top notch infrastructure, ‘Good Economy’ etc….. From my part, I will list a few other things in addition to education and career point of view to give a different perspective. Learning German: Though there is no dearth of Master programmes entirely taught in English, still to live and travel in Germany and to survive in Germany in the long run, one needs to learn German language. So, most of the students learn the German language during the master programme. This has myriad advantages. It is one of the major languages with over 95 million speakers throughout the globe and the most spoken language in the EU. Source: German language – Wikipedia . This not only strengthens your CV but also trains your mind to think technically !!!. This is because German is a structured language and according to a study it trains your mind to be more technical. Kind of exercise for your brain !!! Travel Visa-free: A visa to Germany also allows you to travel to about 26 Schengen countries throughout Europe which includes countries like France, Czech Republic, Denmark, Italy, Norway, Poland, Portugal, Spain, Sweden, Switzerland etc etc. Also most of the countries have the same currency of Euros. You can travel across countries without hassles by bus, train and even flying is cheaper. This means, you can start your day with hot bread in Germany then go have some delicious pasta for lunch in Italy and head for a romantic dinner accompanied by wine in France and come back to have a beer with your friends. This all comes under your student budget! Peaceful and safe environment: One cannot miss the bucolic natural landscape which the land of Germany has to offer . Even big cities such as Berlin, Frankfurt have lots and lots of green space with lush parks and rivers alongside modern skyscrapers and industries. There cannot be a better ambiance to study and work. Also, it is completely safe for students to study without any paranoia. Meeting people from throughout the world: Germany has long been the land of ideas and the pioneer in science and engineering which draws thousands of people each year from all parts of the globe. So during your stay in Germany, you will get to meet people from various countries, cultures, language etc, interact, learn from them which will be an experience to reckon. This will broaden your mind and make you a Global citizen. Not to mention you will get to try their food and music! 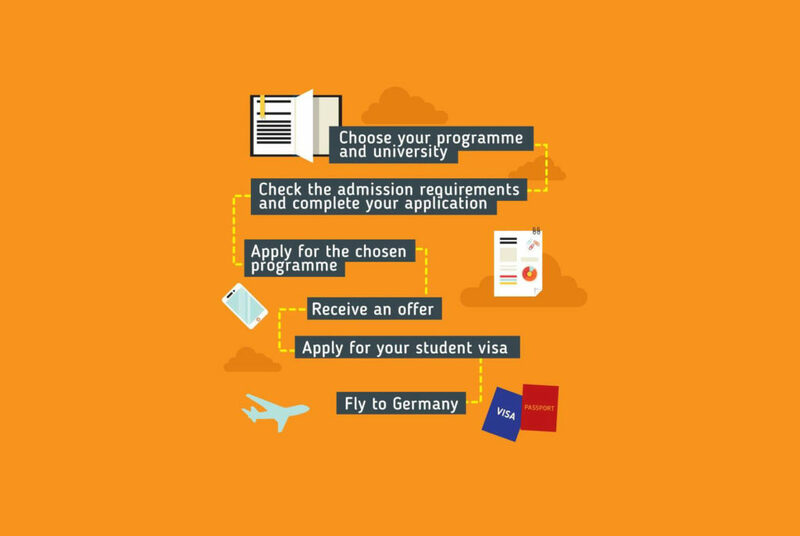 Overall it will be a life-changing experience for a person to do their Masters / Study in Germany.